In short, VP works by taking the results of static application security testing (SAST) and using them to create rules for filtering HTTP requests on the WAF. The problem, though, is that SAST and WAFs rely on different application presentation models and different decision-making methods. As a result, none of the currently available solutions do an adequate job of integrating SAST with WAFs. SAST is based on the white-box model, which applies formal approaches to detect vulnerabilities in code. Meanwhile, a WAF perceives an application as a black box, so it uses heuristics for attack detection. This state of affairs makes VP sub-optimal for preventing attacks when the exploitation conditions for a vulnerability go beyond the trivial http_parameter=plain_text_attack_vector. But what if we could make SAST and a WAF "play nice" with each other? Perhaps we could obtain information about an application's internal structure via SAST but then make this information available to the WAF. That way we could detect attacks on vulnerabilities in a provable way, instead of by mere guessing. An international IT security team of researchers from Britain, Slovakia, Czech Republic, and Italy found a critical vulnerability in the popular encryption library RSA Library v1.02.013 by Infineon. Weak factoring mechanism results in attackers obtaining secret crypto keys and using them for data breach and theft. This vulnerable library is used to ensure security of national ID maps in various countries and in most popular software products that are used by both government and businesses. Security researchers from Belgian University KU Leuven revealed a key reinstallation attack vulnerability in the WPA2 Wi-Fi protocol. Using this flaw an attacker within range of a person logged onto a wireless network could use key reinstallation attacks to bypass WPA2 network security and read information that should have been securely encrypted. What are the possible consequences of this revelation and how end users can protect themselves? This report provides statistics on attacks performed against web applications during the second quarter of 2017. Sources of data are pilot projects involving deployment of PT Application Firewall, as well as Positive Technologies’ own PT AF installations. A new security flaw detected in Apache Struts allows an unauthenticated attacker to execute arbitrary code on a vulnerable system. Although the Apache Software Foundation classified it as a medium severity vulnerability, Cisco has outlined a long list of its products in the Security Advisory that are affected by this flaw. #NotPetya and #Petya compared: any hope for decrypting files? Positive Technologies expert Dmitry Sklyarov provides here his comparison of NotPetya ransomware, which attacked companies this week, with a sample of Petya from 2016. Is decryption of ransomed files possible? And what does the code tell us about the malware's creation? This post considers the portions of the two viruses responsible for MFT encryption. This encryption runs when the ransomware has administrator rights. Positive Technologies experts are still analyzing the malware sample and gathering additional data—in particular, information on the mechanism of its intrusion into a network. But even at this point it is obviously not just a new version of WannaCry. This ransomware combines hacking techniques, such as standard utilities for system administration and tools for obtaining passwords to operating systems. This ensures fast spread of the malware within the network and causes a large-scale epidemic—if at least one computer is infected. As a result, the computer is out of operation and data are encrypted. Code for the open-source SigPloit framework has been published on GitHub by security researcher Loay Abdelrazek. SigPloit is a convenient framework for testing for vulnerabilities in telecommunication protocols. We cannot say state that this project will have a big effect on the security situation, but this is definitely one of the alarm bells that should be noted by telecom industry. Wi-Fi and 3G routers are all around us. Yet in just one recent month, approximately 10 root shell and administrator account vulnerabilities in home internet devices came to light. And access to tens of millions of IoT devices—routers, webcams, and other gadgets—is available to anyone willing to pay $50 for a shodan.io paid account. At the same time, developers and vendors of these devices tend to have other priorities than "testing" and "security." Many serious vulnerabilities remain unpatched, and even when patches are released, users are slow to install them. What does this leave us with? Legions of vulnerable devices, lying low until hacked and pressed into service as part of a DDoS botnet. Continuing the tradition of past years, the WAF Bypass contest was held at last month's PHDays. Participants tried to bypass PT Application Firewall protection mechanisms in order to find special flags accessible through vulnerabilities specially left in web applications. In a series of challenges, the organizers disabled different features of PT Application Firewall, leaving a "way in" for participants to take advantage of. The focus of attention this time was a prototype database firewall (DBFW), which analyzed SQL traffic from applications to databases. Intel Management Engine (ME) has been known for over 10 years (since 2005), but official Internet sources about ME are few and far between. Fortunately, excellent works on the topic have been published in recent years. However, all of them deal with ME 10 and earlier, while modern computers implement ME 11, which was introduced in 2015 for the Skylake microarchitecture. If you have never heard about ME, this is a good time to check out great slides from Igor Skochinsky about previous versions of ME. In short, ME is a separate processor embedded in the chipset of any modern computer with an Intel CPU. ME runs even when the computer is sleeping or powered off (as long as it is plugged in to a power outlet). ME can access any part of RAM, but the RAM region used by ME is not accessible from the OS. What’s more, ME is capable of out-of-band access to the network adapter. Banks always have been a lure for attackers, and while new technologies help to improve client service, they also create additional information security risks. Cyberattacks on banks frequently start with criminals persuading employees of a financial institution to open specially crafted malware. Positive Technologies expert Timur Yunusov explains below if it makes sense for banks to ban workplace use of social networks to reduce the risk of such attacks. 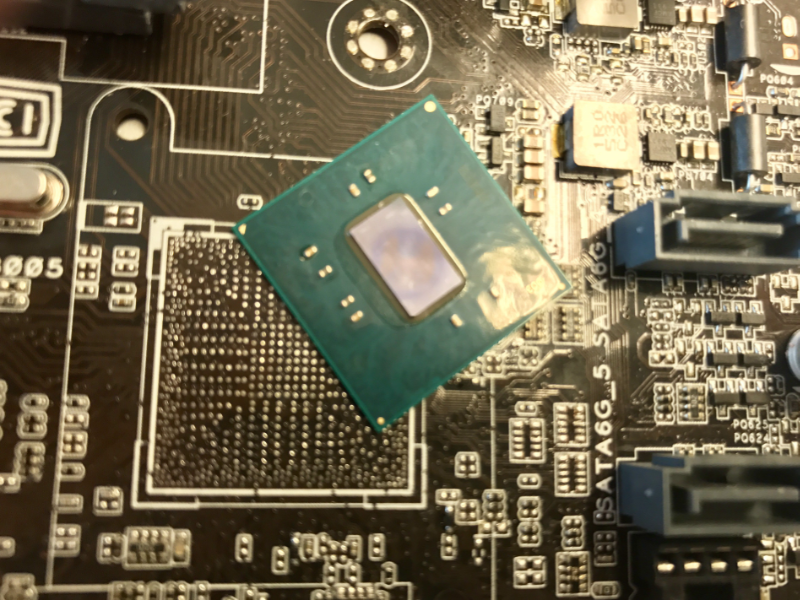 Intel and Lenovo have released recommendations that help restrict access to JTAG debugging interface of processors which can be used by attackers. The insecurity was first discovered by Positive Technologies’ experts in December 2016. At that time Positive Technologies’ experts Maxim Goryachiy and Mark Ermolov presented their findings, during a session at the Chaos Communication Congress (33C3) in Hamburg, explaining that modern Intel processors allow usage of the debugging interface via a USB 3.0 port available on many platforms to gain full control over the system. Modern security systems cannot detect such attacks. We are pleased to announce the opening of our brand new R&D center Brno, Czech Republic, which will focus on developing products to secure mobile telecommunications systems. New Intel processors contain a debugging interface accessible via USB 3.0 ports that can be used to obtain full control over a system and perform attacks that are undetectable by current security tools. A talk on the mechanisms needed for such attacks and ways to protect against them was given by Positive Technologies experts Maxim Goryachy and Mark Ermolov at the 33rd Chaos Communication Congress (33C3) in Hamburg, Germany.